Set on 1000 square metres of literally sand and native vegetation, it’s a piece of quiet, coastal paradise that is perfect for families, couples or groups of friends. 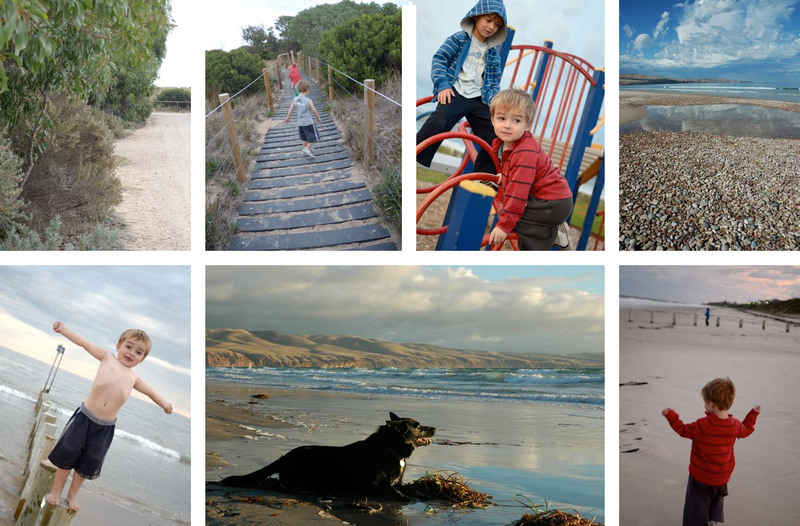 Just 30 minutes drive from Flinders Uni, via the Southern Expressway, Dune Hideaway is located at the very quiet ‘country’ end of Aldinga Beach, near Silver Sands. On a dirt road, with the beach at one end of the street, and the Aldinga Scrub Conservation Park at the other end, you could think you were much further from Adelaide. With the McLaren Vale wine region and the Fleurieu Coast on your doorstep, however, there are plenty of great places to explore if you want. Or, just put your feet up in a hammock, or around the cosy fire in Winter with a local wine and goodies collected at the Willunga Markets, and you wouldn’t have to leave the house. There’s so many ways to enjoy Dune Hideaway. There are three bedrooms with plenty of options for sleeping: Main Room – Queen Bed, 2nd Room – Queen Bed and 3rd Room – 2 single bunk beds (4 singles). The bathroom looks out onto the sand dune in the backyard, which is completely enclosed and private. It’s lovely to let the fresh air in and have a bath with a view! We have an iron, ironing board and a washing machine available. It is ideal for one family, 2 families, groups of adult friends or even just individuals seeking some seclusion….It has been very popular for girls weekends, over the years. Comfort is a priority and there are 2 sofas and a couple of beanbags for the kids in the lounge – afterall, people want to put their feet up on holiday. The ducted evaporative air-conditioning keeps the house cool in Summer and there is a combustion wood fire for cosy Winter days. Then there is OUTSIDE and beyond! The yard is filled with local native plants so it attracts plenty of native wildlife, particularly birds and the occasional echidna visitor. There are plenty of parts of the yard that kids will enjoy exploring, we just ask that the plants are avoided as much as possible (trees can be climbed though!). It’s a quiet street and you’ll love the peace and quiet from either the front or back decks, or while swinging in a hammock. When you leave the yard it’s only 2 minutes to walk to the path through the Aldinga Beach dunes down to the beach itself. Or walk away from the ocean and you will hit the beautiful Aldinga Scrub. Not bad to have both these natural wonders at the ends of one little street and it’s why we love it so much. Being so close you are be able to get up early and see the sun rise from the beach or watch the sun go down, knowing it’s just a short walk back to the house. The beach is beautiful in Summer of course but in Winter when you are one of the only people enjoying it, it can be a wonderful time too. Coffee Machine, Coffee Percolator, Toaster, Coffee Plunger, Microwave, Iron, Ironing Board, Radio/Cassette Player, DVD Player, Digital Set top box and TV. Wine, books, DVDs, magazines…whatever helps you enjoy the serenity! Dogs are allowed however we have strict expectations that you keep them out of carpeted areas and off furnishings. Indoors at night-time please, and preferably tied on a lead to avoid wandering onto the sofas etc. Family holidays, Adult Retreats, Beach activities, Photography Tours, Birdwatching, Bushwalking, Fishing, Romantic Getaways, Surfing. $175/night (for up to 4 people) – Additional guests at $10 each per night. Prices correct at May 2018. Will be confirmed on email. All enquiries can be directed to Catherine Leo via email hideaway@cathleo.com.au or mobile 0420 281 929. All bookings require a $50 deposit, (or $100 for school holiday bookings – $200 for peak Summer bookings) before confirmation is made, with balance required 7 days before stay. Please Include requested dates, number of people, your name and phone number. Thanks! Find us on facebook by clicking HERE to stay informed about all things Dune Hideaway, events on the Fleurieu and special deals.